Website conversion is a new solution from Exai that put’s your website back under your control by allowing you to duplicate the precise website and migrate it to a fully managed solution on the Exai platform. Exai has had over 3 years of experience in migrating websites. You are assigned a dedicated team of experts to oversee and coordinate the process which takes anywhere up to 2 weeks to complete . Your Website is not mobile friendly and is not recognised by Google's new search ranking criteria. Check your site for Google compatibility HERE. Read about the new changes HERE. Exai's platform provides you with full mobile compliance and your website will be MOBILE RESPONSIVE. Any website that becomes difficult to manage-in turn becomes time consuming cumbersome to use. As a result you may find yourself making content updates less frequently which directly results in lower search engine rankings, lower conversions and loss of customers. Editing and managing media effectively is a time eater and site management in general gets out of control. Website conversion allows you to duplicate your entire websites content, design, images in fact everything exactly as you have it to the fully managed Exai platform. After you’ve completed the application on this page we can begin the process which takes anywhere between 7-10 working day’s. 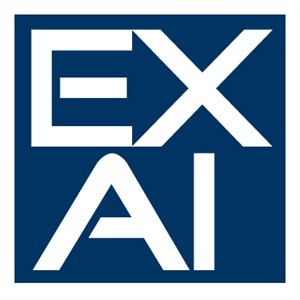 No need to worry about program updates: EXAI does it for you automatically. And EXAI’s managed hosting ensures that your website is never down.